Yesterday, it was Harry and Matthew's 2nd Birthday. We did have plans to go to Drayton Manor Theme Park to visit the newly improved 'Thomas Land, but changed our ideas in the middle of last week. Harry and Matthew are very lively toddlers- I want to say babies, but know that I shouldn't. I don't think they are ready for a theme park experience yet. They wouldn't cope with queuing up for rides, without performing their 'escape artist' trick from their pram. The other thing that made me change my mind, was that they also wouldn't cope with being put in and out of their pram after every ride. And neither would I. My nerves would be shot at after about half an hour. So we decided that this can be a visit for next year when they are 3. We decided to go to a farm that is quite close to us instead. The day began with the opening of presents. This went ok apart from the fighting over the one Thomas balloon I had bought for them to share. 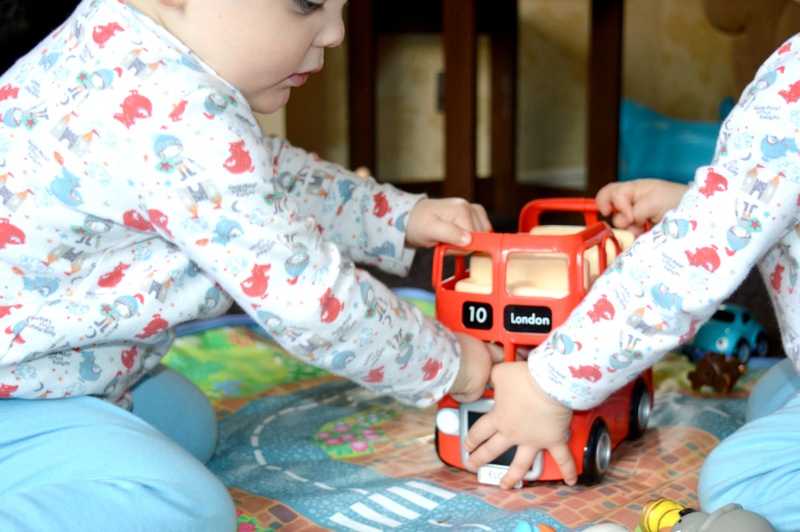 Twin Mum rule number 1 - Think very carefully about what can be shared and what can't. Balloons should not on the list and in hindsight I should have realised this. The balloon was popped within 10 minutes of the fighting commencing and Harry was very upset by this. Matthew was the one who was more interested in opening the presents, but Harry liked to play with them in more detail. After present opening, we got ready and received a visit from Grandma and Grandad, bringing presents. At about 11:30 a:m, we left for the farm. You can find out more about our visit and Harry and Matthew's Birthday by watching the video below. The day ended with a birthday bump for Harry. He banged and cut his head on his new toddler bed, bless him. But all in all it was a lovely day.